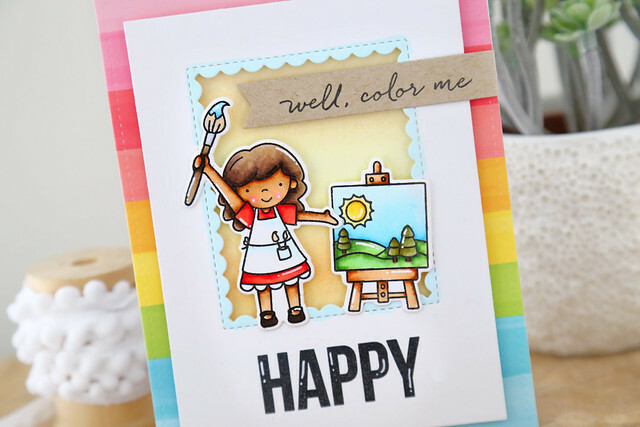 I have a fun little card to share with you today, using products you can find in the Ellen Hutson store! For the sentiment, instead of going with one in the Paint Night set, I reached for EH's Totally Random Sayings Vol. 2! I split the sentiment into 2 parts, putting the smaller script onto a simple banner flag and grounding the cute images with the larger block font. 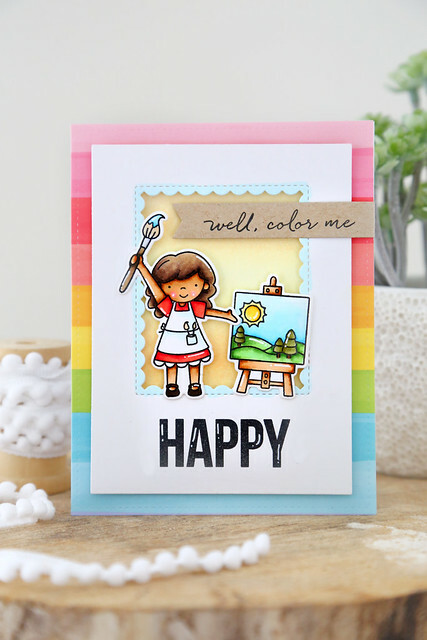 To add a playful touch, I matted everything onto a sheet from Lawn Fawn's Really Rainbow collection.